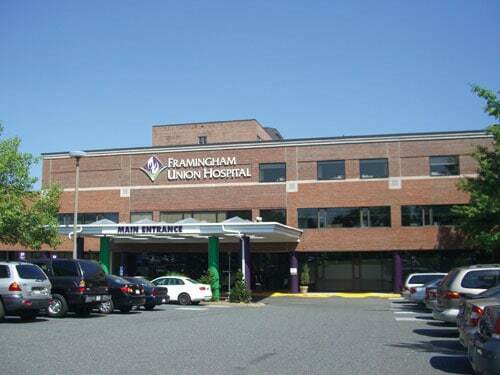 Tata & Howard conducted a hospital water audit for the MetroWest Medical Center in Framingham, Massachusetts. The project was divided into two phases. The first phase involved data collection and a review of all water use devices at the MetroWest Medical Center (MWMC) campus. Inventory of all items was taken over a two day period. Items were categorized by their use: toilet, faucet, shower, cooling units, etc. Tata & Howard performed an analysis of the water and dollar savings if the older models were replaced by newer, more efficient models. This analysis did not take into consideration the usage per day of the fixtures. The second phase of the project included a cost/benefit analysis for replacing each fixture throughout the hospital. Usage was estimated for each fixture throughout the hospital and a payback period was calculated based on replacing the fixture with a like modeled unit that meets the EPA’s minimum water efficiency standards. A six year Prioritization Plan was then completed for the campus. Using a budget of approximately $5,000 per year, an annual savings of approximately $29,000 per year is expected upon completion of the six year plan. Savings could increase if more efficient fixtures are purchased instead of standard efficiency units. In addition to the Prioritization Plan, the MWMC was provided a spreadsheet detailing their fixtures throughout the campus which can be updated when an item is replaced. For more information on water audits, please click here.